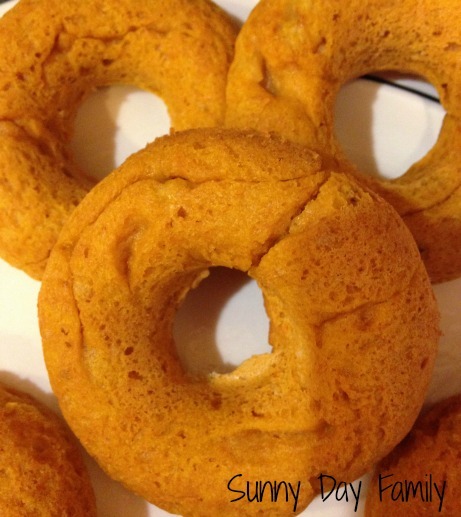 Pumpkin Maple Donuts with only 4 ingredients! This morning it was rainy and dreary and I thought we needed a special treat for breakfast. I remembered the box of Maple Brown Sugar cake mix I bought on a whim at Target last week and thought hmmm... let's whip this into some donuts. 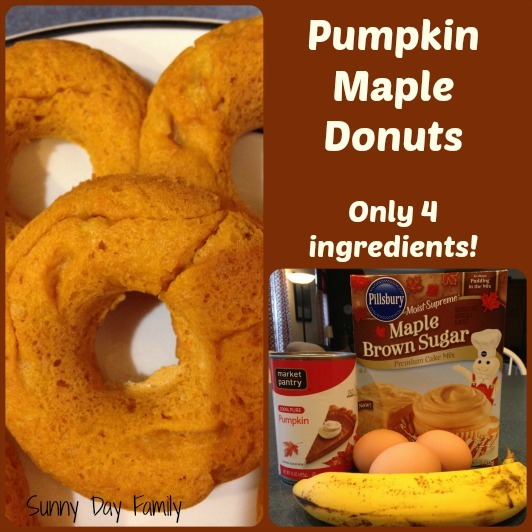 Add in some pumpkin, egg, and banana and voila - Pumpkin Maple Donuts. The pumpkin and banana make these a little healthier than your average donut, and they are a really yummy, not too sweet treat for a Fall morning (or delicious for an afternoon snack!). Preheat oven to 350 degrees. Grease donut pan and set aside. In a large mixing bowl, mash banana with a fork (some chunks are OK). 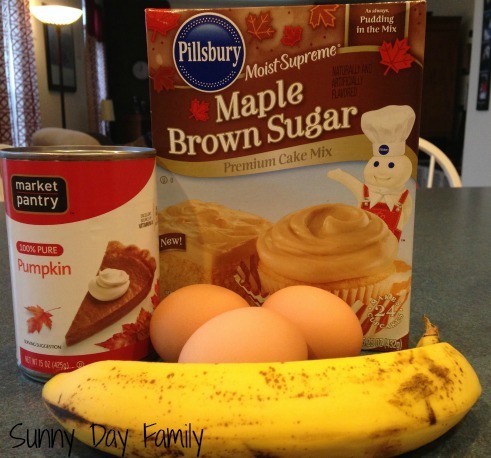 Add in cake mix, eggs, and pumpkin. Pour batter into donut pan, filling holes about 2/3 full. I find it easiest to put the batter in a gallon sized freezer bag, snip off the corner, and squeeze it into pan. Bake at 350 for 10-12 minutes, or until a toothpick inserted comes out clean. Yum! These were so light and fluffy, and not too sweet. Delicious and oh-so-easy. Enjoy!